Gamasutra: Fabian Fischer's Blog - What do you mean, losing is fun? What do you mean, losing is fun? The slogan "Losing is fun!" is most commonly used in connection to the genre of roguelike games, and specifically popular within the Dwarf Fortress community. On the surface it is quite clear what the meaning behind this sentence is: In roguelikes, experiencing the mechanics of gameplay is what counts. The journey is the destination and in most cases the way ends in the death of the avatar – in stark contrast to how most modern videogames operate. Now, this extreme form of "losing" (in "permanent death") is supposed to be fun, because there were many interesting decisions to make along the way and new things to learn. In general this is not even a roguelike-specific trait of games. After all this principle is found in almost any board game or competitive multiplayer game. However, in the realm of single-player videogames, roguelikes are like a bastion of true decision-making contests amongst the predominant story, sandbox and puzzle games that often rely mostly on extrinsic motivators like cutscenes, audiovisual spectacle, compliments, or achievements. Games in which losing is supposed to be fun on the other hand have to contain the reward within the process of playing itself. 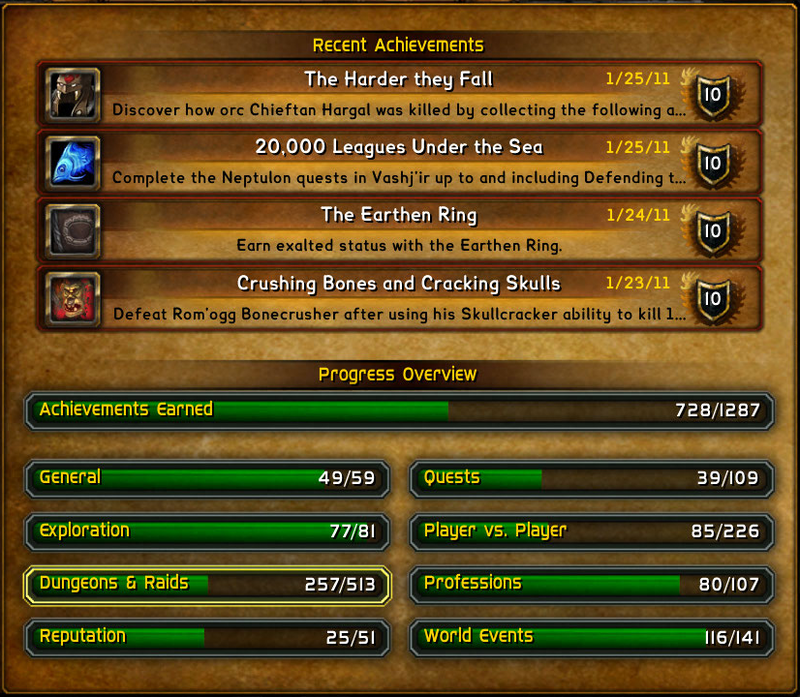 The player, as a thinking being, improves in skill and not just the avatar. The following article aims to shed more light on exactly this difference. 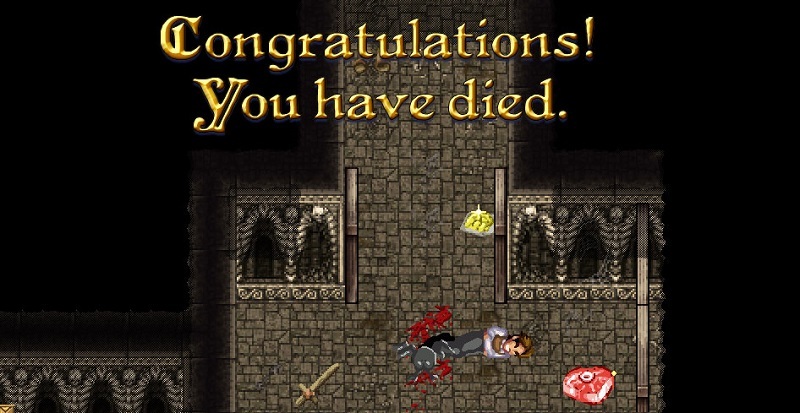 Many roguelikes, oddly enough, do not only feature a clear victory condition but also a score on top of that. 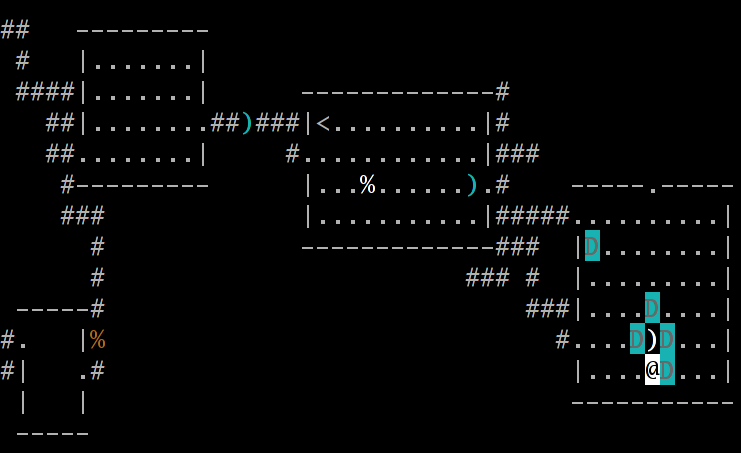 For example Nethack can be won by finding and retrieving the "Amulet of Yendor". However, even a "lost" playthrough will result in a score. Therefore the player theoretically plays against himself every run. And not only that, but even against every possible future run. Otherwise there would be no difference between beating a previous highscore by one or 1000 points, rendering large parts of the score scale completely meaningless. At any given point in time however, a playthrough could be considered "won" if a higher score has been reached than ever before. Now, there is an immediate conflict between both of those victory conditions. Admittedly runs where the explicit (binary) victory condition was met will usually be rated higher, but what about multiple "victorious" runs for example? Are all of those that have not beaten a previous highscore actually losses? Such a conflict can never be healthy for a gameplay system. This gets exacerbated in many cases by scoring exploits (with which Nethack specifically is ripe), that occur because the game was not designed around the scoring system to begin with. In general using highscores as a victory condition will almost necessarily lead to unclear design decisions and lots of different problems for the players. Having a consistent and clear victory condition is of utmost importance in a game that is supposed to be intrinsically motivating. A game based on intrinsic motivation is inherently rewarding to play. That means the motivation to continue playing (or "fun") arises from the mind of the player and the interestingness of interacting with the system itself. This process is strongly connected to the possibility of learning, of making mental progress over many self-contained matches. Of course this is only possible if the game can be understood as a learnable discipline, i.e. 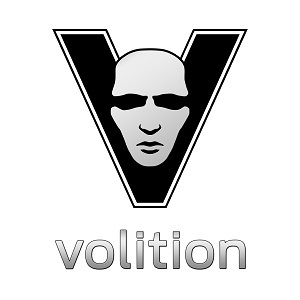 a contest that allows players to gradually increase their skill by iterating through the cycle of making inputs, receiving feedback, and adjusting their mental model of the inner workings of the system. An intrinsically motivating game is worth playing by itself. In a well-balanced game that confronts the player with difficult challenges depending on his current skill level will be fun either way, whether the match is won or lost in the end. The important aspect is the overall learning process and witnessing oneself get better at manipulating a complex system of intricate interactions (i.e. the implicit progress). In some cases the reward can, in this sense, even be greater when a match is lost. A veteran that is easily beating a game on every try on the other hand will not gain anything, which aligns intrinsically motivating games perfectly with the typical reaction of human beings to such an unproductive state – boredom. On the contrary, extrinsic motivators in games are often used as tools for engineering one's way around evoking boredom, even if it would be the appropriate reaction to what actually happens in terms of gameplay. If a player only continues playing to get to the next piece of story content, to fill the experience points bar one more time, to hopefully get the next big item drop around the corner, to see that spectacular finishing move, or even just to get the "positive feeling" of victory and dominance, then there is clearly something wrong with the game itself. The decisions made along the way cannot be all that interesting in this case and the invested time not worthwhile. A special kind of mostly extrinsic motivators that have gained a lot of popularity recently are "achievements". It is completely clear that they are put on top of a self-contained game. They neither influence the victory condition nor the mechanics. Now, there are two forms of achievements: The ones that are simply gained by playing through the game, which are basically just a small psychological trick to make the player feel "even better" for doing something meaningless, and the ones that are actually challenging. The latter can be interpreted as intrinsic motivators as they effectively introduce variants to the base game itself and incentivize exploring non-obvious actions and strategies. If they are explicitly designed with this approach in mind and to be maximally interesting, they can be a valuable addition to any game. In practice most games are hybrids and contain both intrinsic and extrinsic motivators. The point is not to completely get rid of the latter, but to realize what building a game that is mostly based on extrinsic motivators will result in. At the latest these systems will break down when all the inherently exhaustible extrinsic motivators have been depleted and the shallowness of the core mechanics clearly manifests itself. They are completely disposable products. But on top of that, they will often "motivate" their players to play on far beyond the point of being interesting, thus literally wasting their time. On the other hand, a game being based mostly on intrinsic motivators is apparently an important factor in regards to staying relevant for a long time. 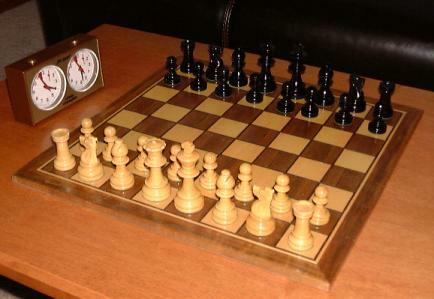 Prime examples of this are of course ancient games like Chess and Go that basically purely motivate intrinsically. In general many board games stay relevant way longer than most modern videogames and one reason for that is how much digital games like to use their superior audiovisual and cinematic capabilities for extrinsic motivation. With the fundamental difference between the two kinds of motivators established, there is an interesting observation to be made in regards to the idea of winning and losing. In a typical modern videogame, players are not used to being able to lose at all. They are based on story, spectacle and the perpetual "+1" stat race, while neglecting their core gameplay mechanics. Of course this only makes sense if the player is actually "advancing" continuously, experiencing more and more of the content or raising his attack value further and further. The persistence of progress is necessarily built into these games. They do not feature self-contained matches that restart at some point. For that approach to be reasonable, the progress would have to lie, primarily, in the player's skill instead of the increased virtual power. After all, most modern single-player videogames simply cut losing completely. The player controls an untouchable and almighty hero, for whom there is really only one option in the end: absolute triumph. And even if something should go wrong along the way, there is still the most powerful weapon videogames have ever seen: savegames. This omnipotence of typical videogame heroes is also the reason for almost any game that actually contains the ability to "lose a match" being labeled "roguelike" these days. The idea of "permadeath" has become a sign of quality and a unique selling point to players looking for intrinsically motivating games. 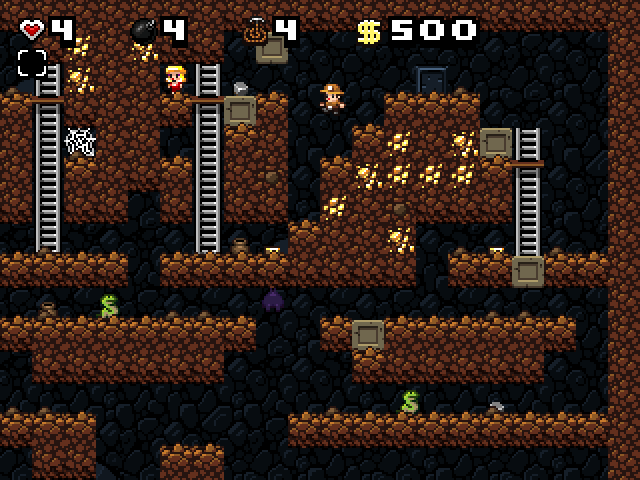 Even platformers such as Spelunky and twin-stick shooters like The Binding of Isaac are often counted as "roguelikes", even though they do not have too much in common with the original Rogue. By this logic, if Tetris were released today, it would have to be called a roguelike, "roguelike-like" or "roguelite" as well. Furthermore, all these games share another typical trait of the roguelike genre: random generation. However this is only another necessity. Without uncertainty, which single-player games can only create systemically, the game will soon break down to a pure memorization contest or a puzzle waiting to be solved and then executed perfectly. If the player is supposed to learn something new in the long term, to continuously make difficult decisions, the game needs some form of randomization. So after all, this is not a roguelike-specific aspect as well, but simply another essential feature of any interesting single-player game. Even if terms such as "roguelike" or "permadeath" are used in strange ways these days, the general development of the gaming landscape is a rather positive one. A game featuring difficult situations, permanent consequences, and randomized content is seen as something special, something great even. Many games advertise their "roguelikeness" openly. Whether each and every developer of those games is aware of the difference between intrinsic and extrinsic motivation or not, it certainly drives the industry towards the former, which has become a rare feat these days. While the AAA industry is still going strong in terms of its established non-gameplay motivational methods, especially smaller independent studios have found lots of viable side paths during the past years. There is a non-negligible target audience of players that are tired of superficial gameplay, whitewashing spectacle, the content craze, and Skinner Box design. Those players are looking for true systemic depth in a game and value the possibility of learning and improving in the long term. And this section of the market that has fortunately opened up again is, supposedly, also where the most important progress of the craft of game design can and will happen in the future.